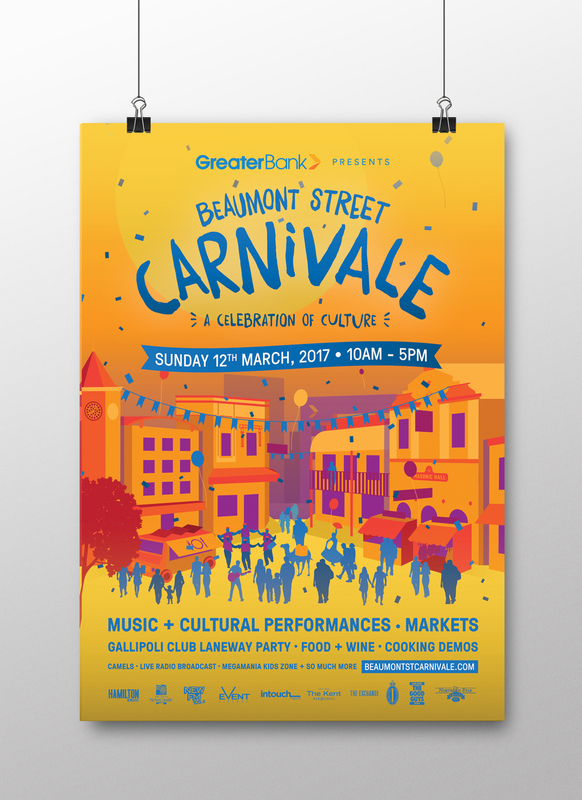 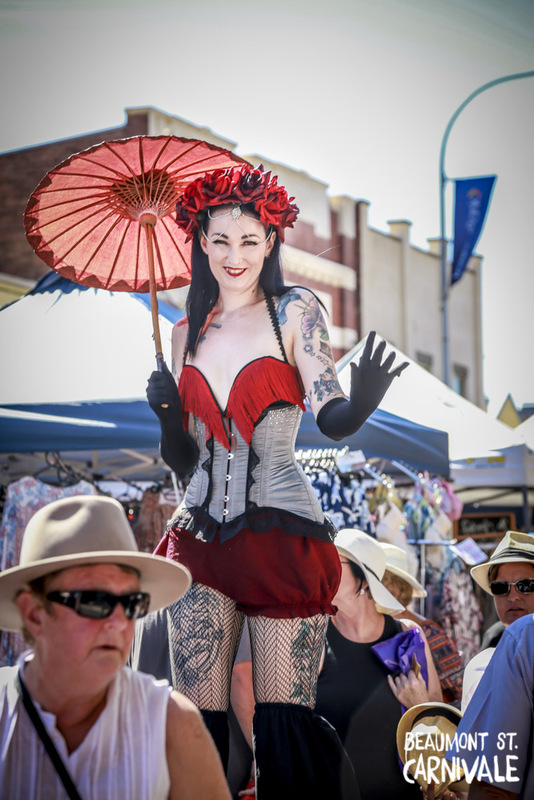 Beaumont Street Carnivale is an annual street festival that celebrates the diverse and rich culture of Hamilton. 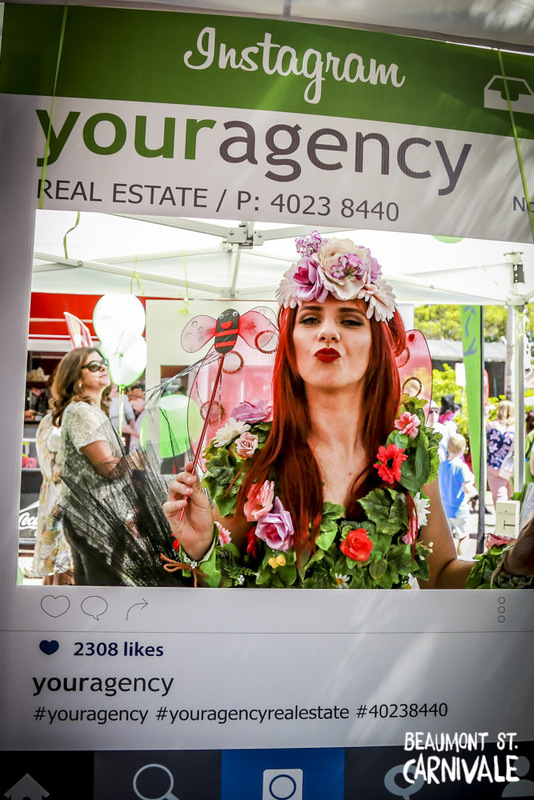 Since its launch in 2015, it has grown to be a key event in the Newcastle calendar. 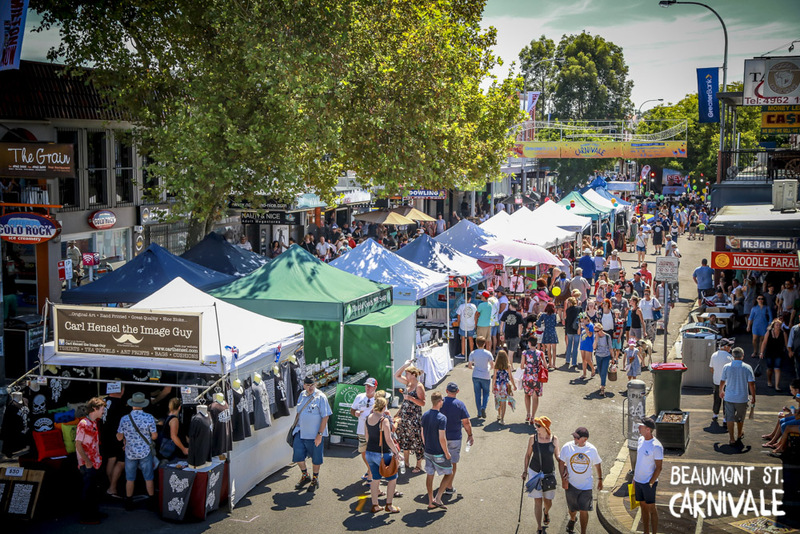 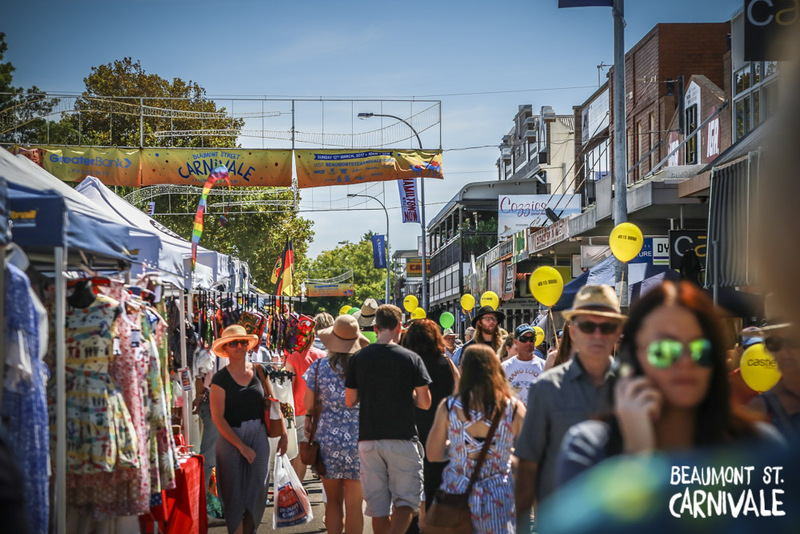 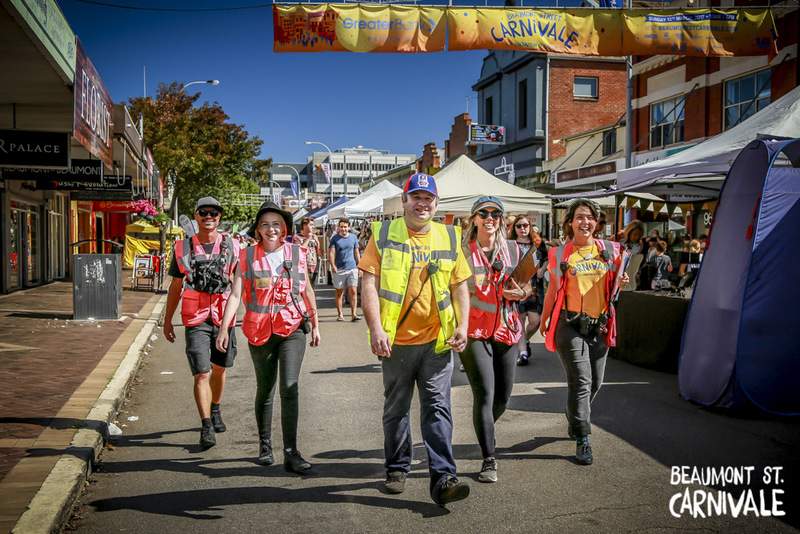 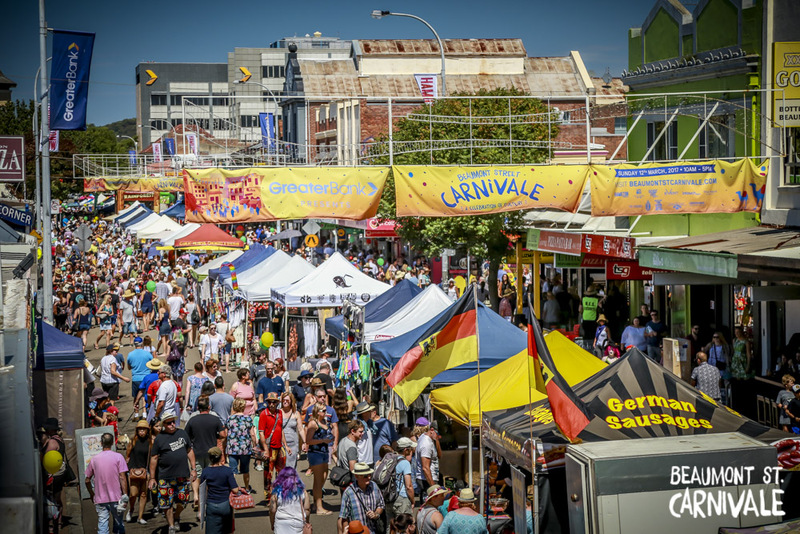 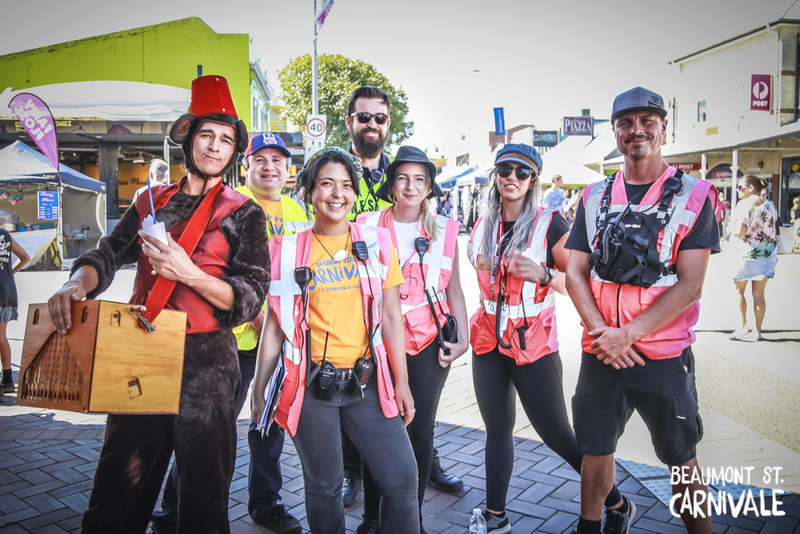 This year a record 25,000 people attended the event and enjoyed the live music, dancing, activations, market stalls and multicultural cuisine that Carnivale has become famous for. 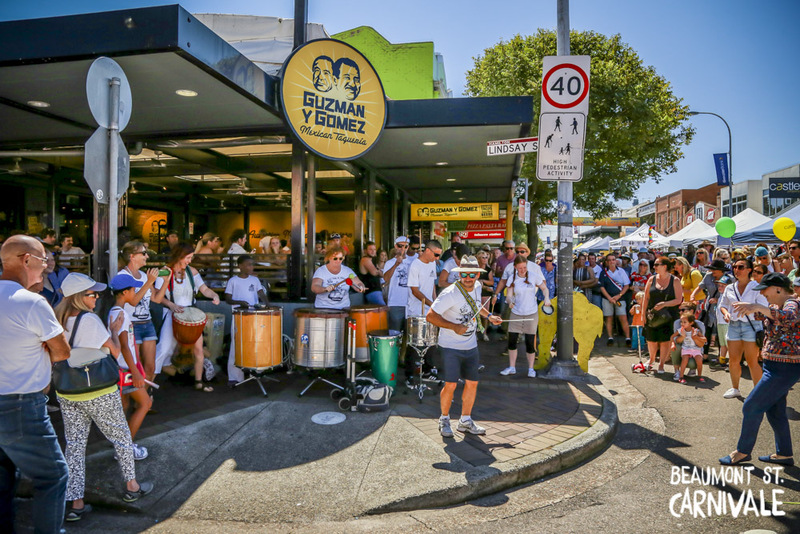 Our mission was to create a vibrant, positive and accepting atmosphere that unearthed the diversity and talent that Hamilton has on offer. 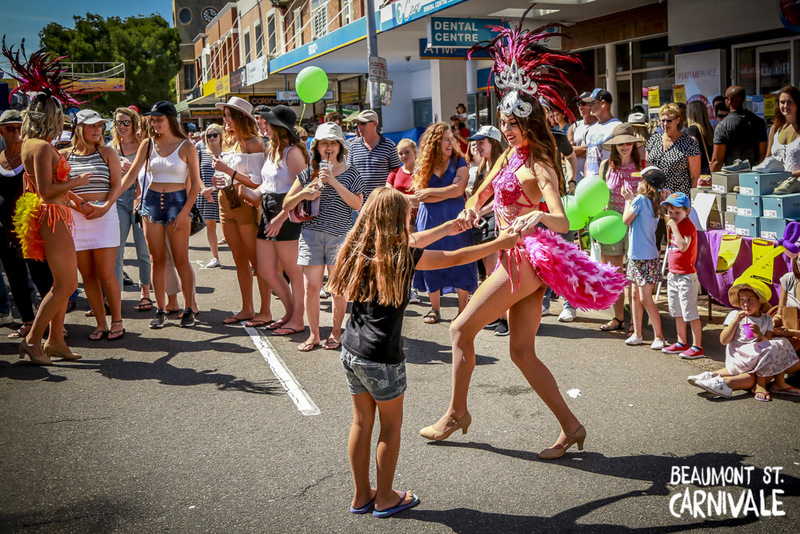 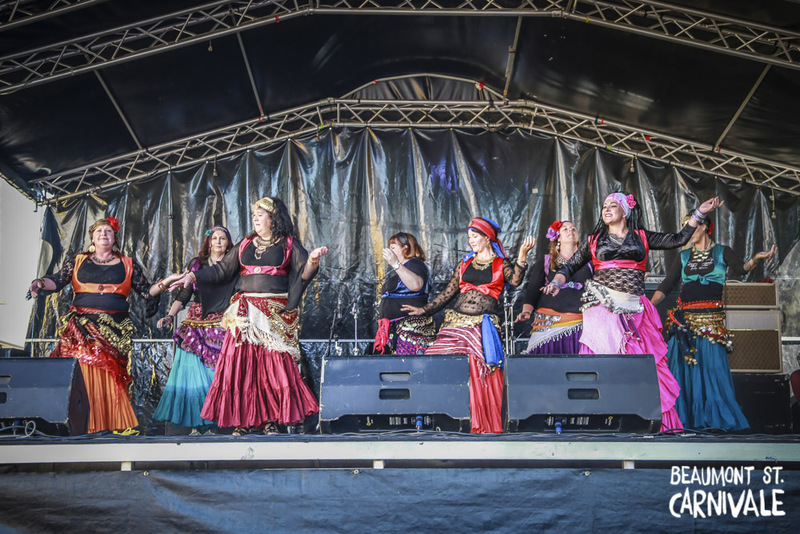 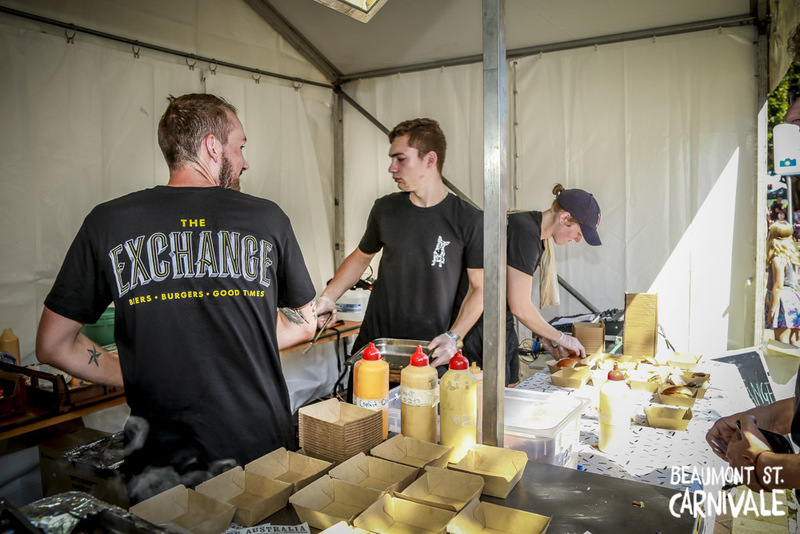 The 2017 Beaumont Street Carnivale featured three stages of live music, including the new Cultural Stage presented by The Exchange Hotel, exhibiting music and dance from around the globe. 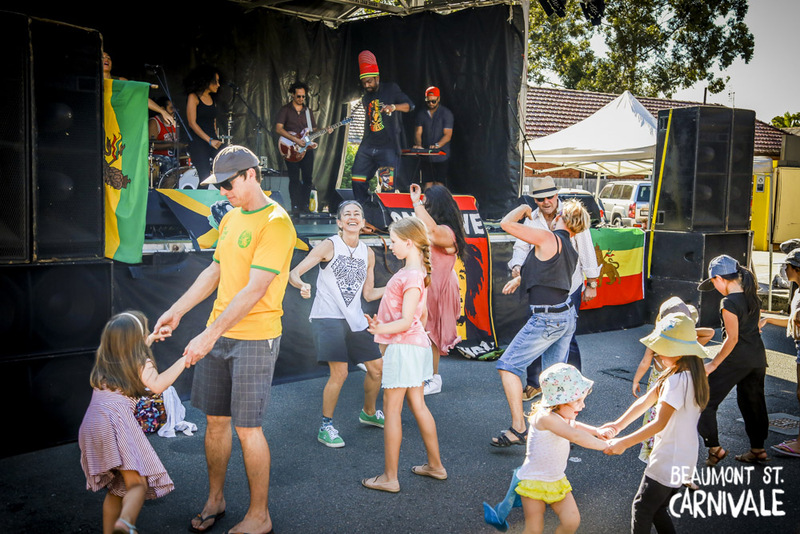 King B Fine and Afrikaya band had the crowd dancing to reggae, and Access All 80’s created a time-warp and transported the crowd back to the eighties. 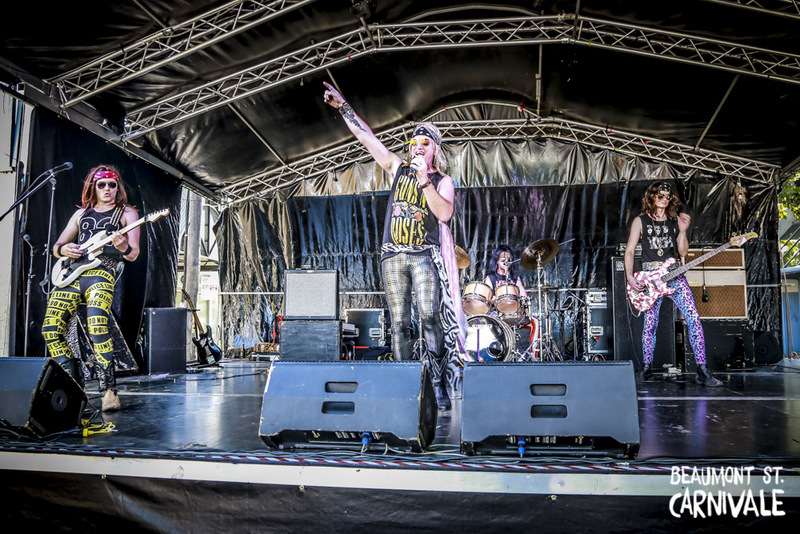 The Southern Fire Rio Dancers wowed crowds as their sequin-spangled infectious performance spilled off stage and interacted with the crowd and local alternative-rockers In Motion proved why they’re a band to watch. 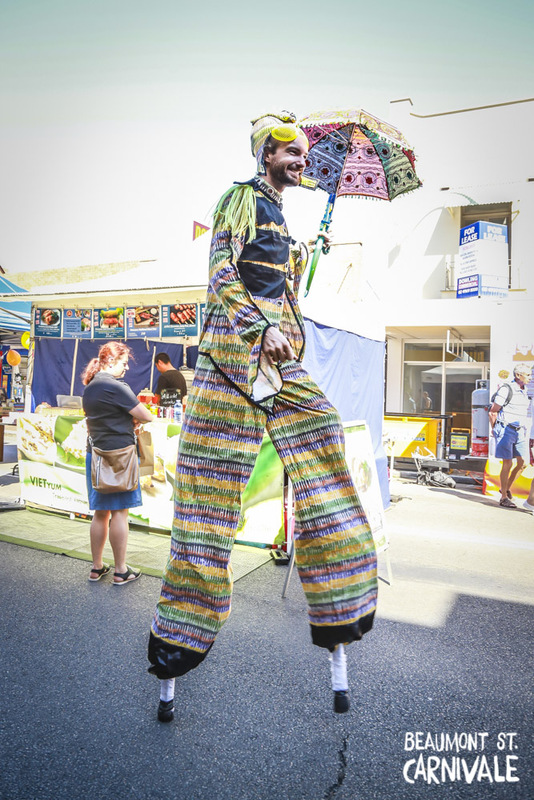 The streets were alive with roving performances from Kavon Theme Restaurant, Newcastle RSL Pipeband, The Green Fairy, Samba Frog, stilt walker Hannah Indigo and Mr Münkey to name a few. 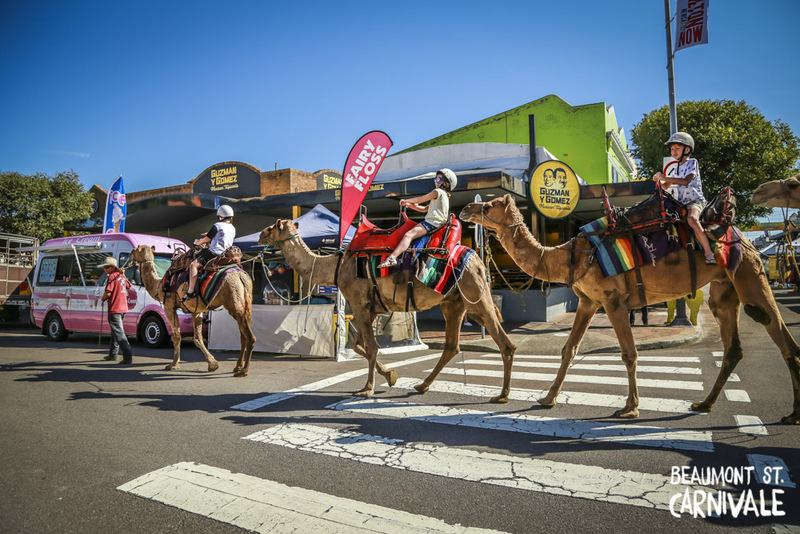 Festival-favourite, Oakfield Ranch Camels, delighted children as they offered free rides along Linsday Street. 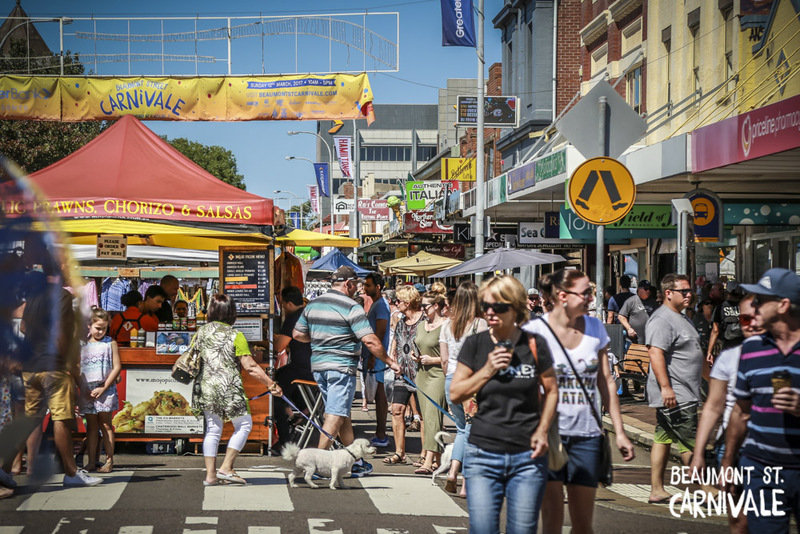 Over 50 market stalls spanned across four streets, offering everything from handmade goods to cultural clothing to henna tattoos. 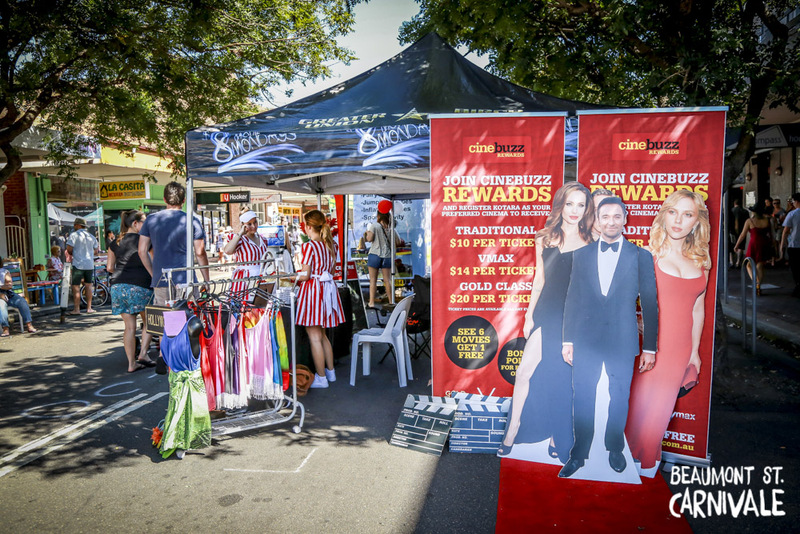 Activations engaged the crowds, with Greater Bank hosting an Instagram treasure hunt and Event Cinemas recreating Hollywood in the heart of Hamilton with their pop-up red carpet complete with life size celebrity cut outs. 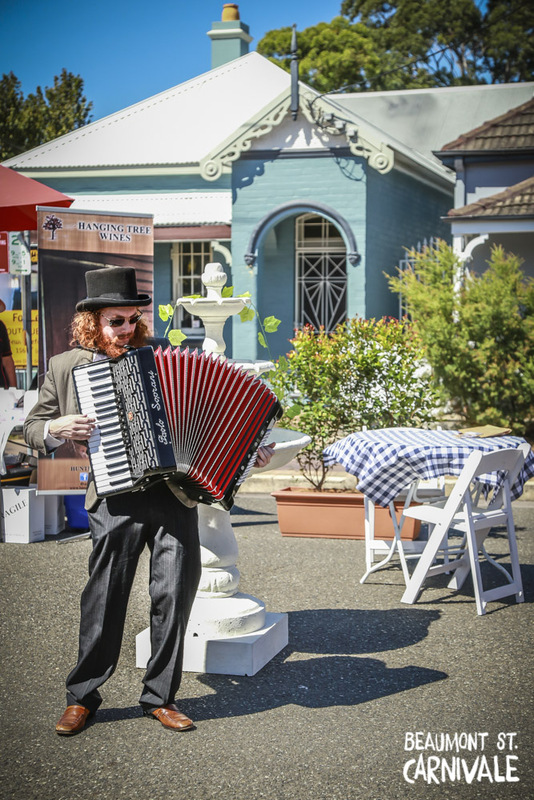 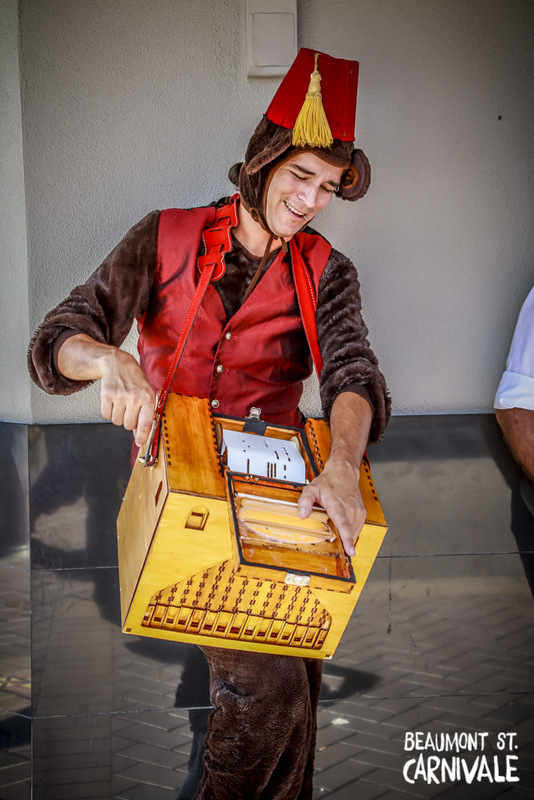 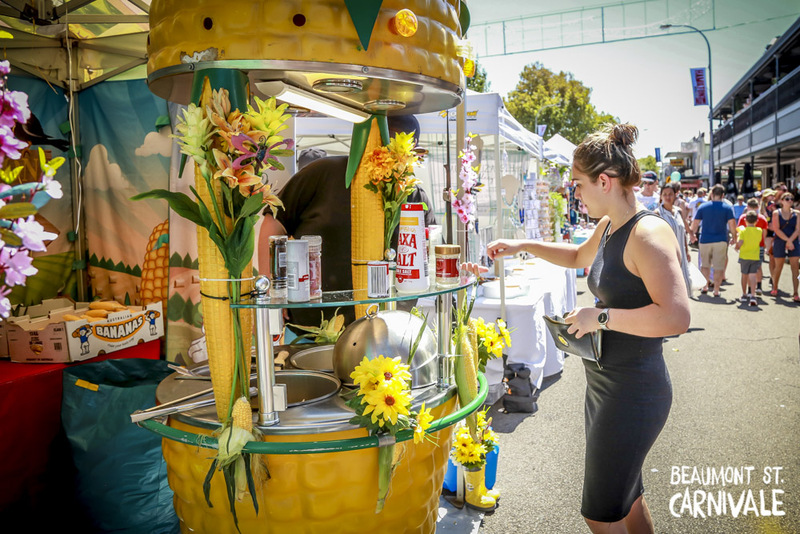 The Kent Hotel hosted a pop-up beer garden for punters to enjoy a cool craft beer, while Delikacies recreated a European Piazza, complete with international food offerings, a water fountain, an accordion player and Zackari Watt serenading festival-goers. 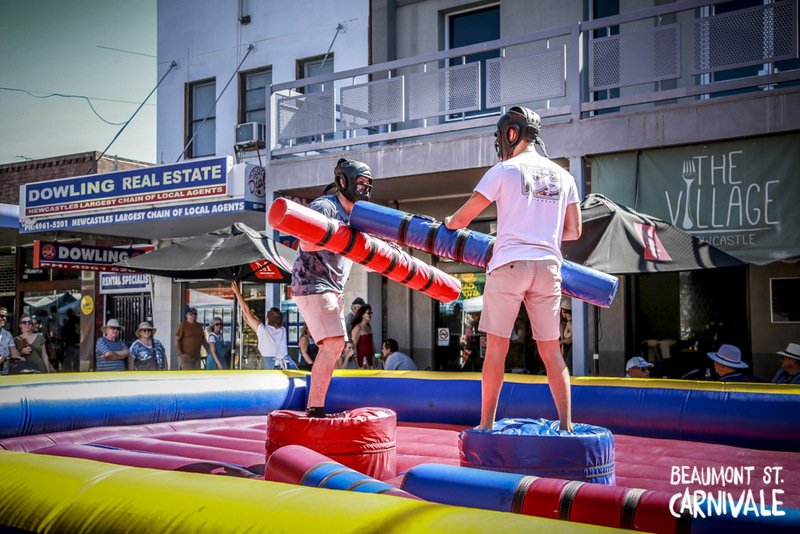 Flight Centre offered the ultimate upgrade as they gave away a holiday sending one lucky couple from Beaumont Street Hamilton to Hamilton Island! 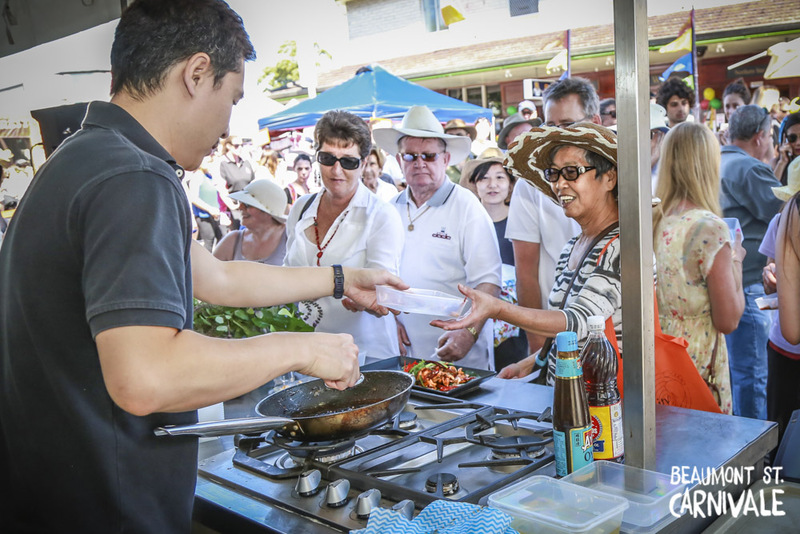 Cooking demonstrations by Uber Thai, The Bhakti Tree and The Exchange Hotel captivated crowds as they shared some excellent cooking tips, recipes and free samples. 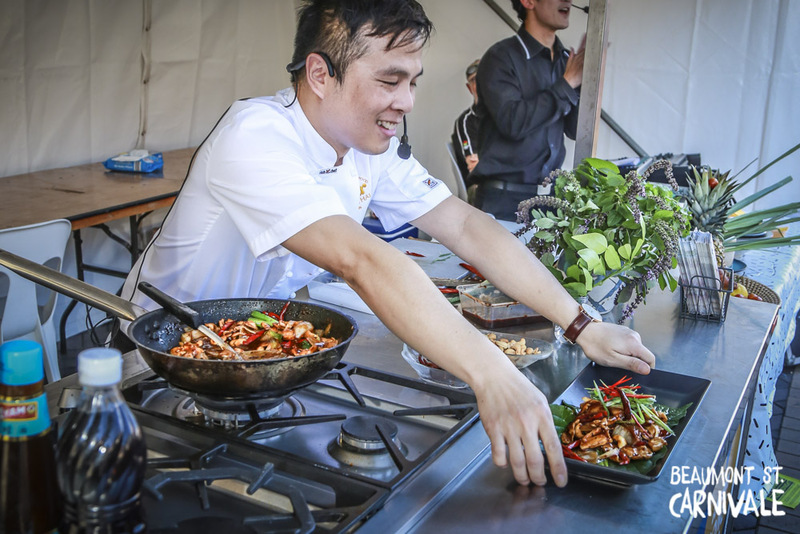 Beaumont Street’s favourite eateries and food stalls offered an array of international cuisine from places like Germany, Vietnam, China, Italy, France, Latin America, Persia, Thailand, Australia and Spain.